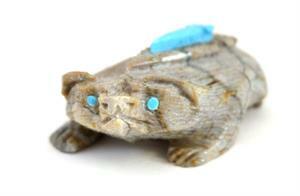 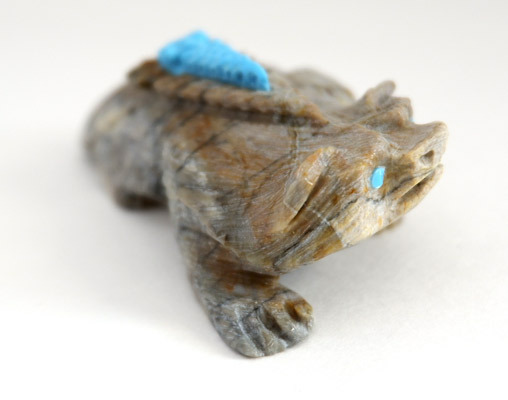 Zuni artist Leland Boone has carved this badger from Picasso marble and inlaid turquoise for its eyes. 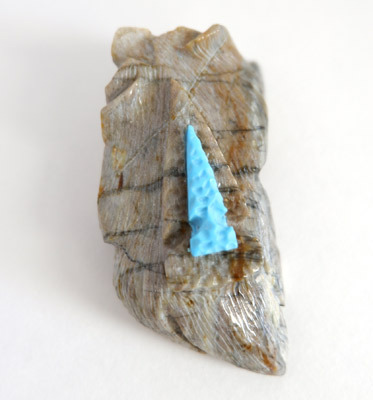 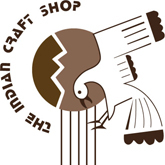 A turquoise arrowhead is on the badger's back. Height: 0.75", Length: 2.5", Width: 1.5"